The summer months are very much welcomed by hard working 9-5ers. The summer breeze, BBQ and beers on the patio are just a few of the indulgences that are embraced for the short but sweet period of time. The summer also brings about the tendency for North Americans to pack up and ship out to sun destinations around the world. The budget conscious vacationers often start their search for their next destination online where a plethora of online travel booking companies wage a marketing battle for your attention. The big hitters include the likes of Tripadvisor, Hotwire (Parent company: Expedia), Priceline, Orbitz and the non-public Airbnb to name a few. The one company that we will pay particular attention to is Tripadvisor. Tripadvisor primarily operates online and has a number of brands under its belt. Its offerings include hotel bookings for leisure and business in addition to attractions, restaurants, and vacation rentals. As of current, Tripadvisor is the most searched online travel booking website and is one of two companies that show an increasing trend in searches for its respective brand. Search trends for online booking websites as a whole show a clear element of seasonality, that is, searches will tend to spike during the summer months of July and August and then slump during the months of November and December. Therefore, a comparison of searches year-over-year may be a more effective method of evaluation than comparison month over month. As mentioned, Tripadvisor is the largest online travel booking website and happens to be the most searched. However, there are two alarming trends presenting themselves. The first is the fact that search activity during the ‘busy’ months (July and August) are a fraction of what they were a year ago. In fact, July and August searches for the term ‘Tripadvisor’ have fallen to a level last seen in 2013. The second of the alarming trends is the fact that a new player in this sector has come about, and that is Airbnb and as of May 2016, searches for Airbnb have now surpassed those for Tripadvisor. We’d like to point out that of the mentioned competitors in the space, Tripadvisor should be most concerned with the force of competition from Airbnb and the fact that it has now surpassed Tripadvisor in search count. Management responds to the increasing competition indicating that they will continue to invest in order to remain the leading source of travel reviews and to continue enhancing user experience. But is that really the solution here? Will increasing the number of reviews and the ease of booking trump the democratization of renting home/hotel offered by Airbnb? The past few months of search data has proven that this approach has not worked well and continuing along this path may prove costly. Search trend data is DIRECTLY related to the financial fortunes of the through add revenue generated in addition to the fact that revenues are derived directly through online bookings. The more users navigating to other platforms will result in less booking volume and less add hits. 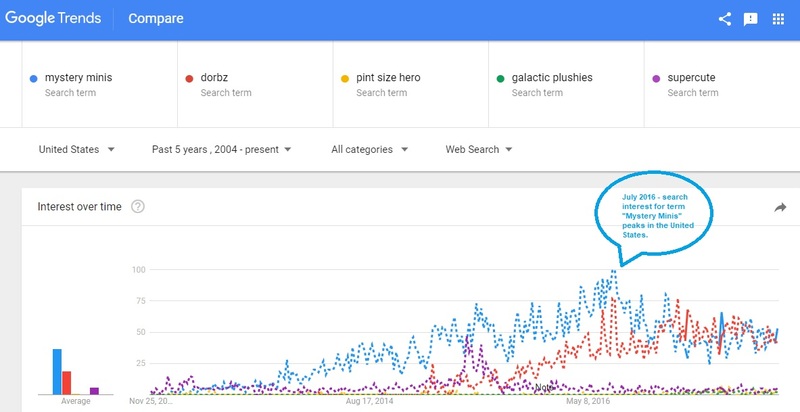 As depicted in the graph below, the search volume for the second quarter of 2015 (outlined in box ‘A’) was materially greater than the search interest during the second quarter of 2016 (outlined in box ‘B’). This decrease in search interest coincides with a material decrease in revenues for second quarter 2016 in comparison to the same period in 2015, in fact revenues fell 8%. While the trend over the last 3 years has been positive for the company we express concern over the most recent precipitous drop in searches during the company’s most active periods of the year. If Q2 search trends and corresponding financial performance are any indicators, it would appear that Tripadvisor has more rough waters ahead.